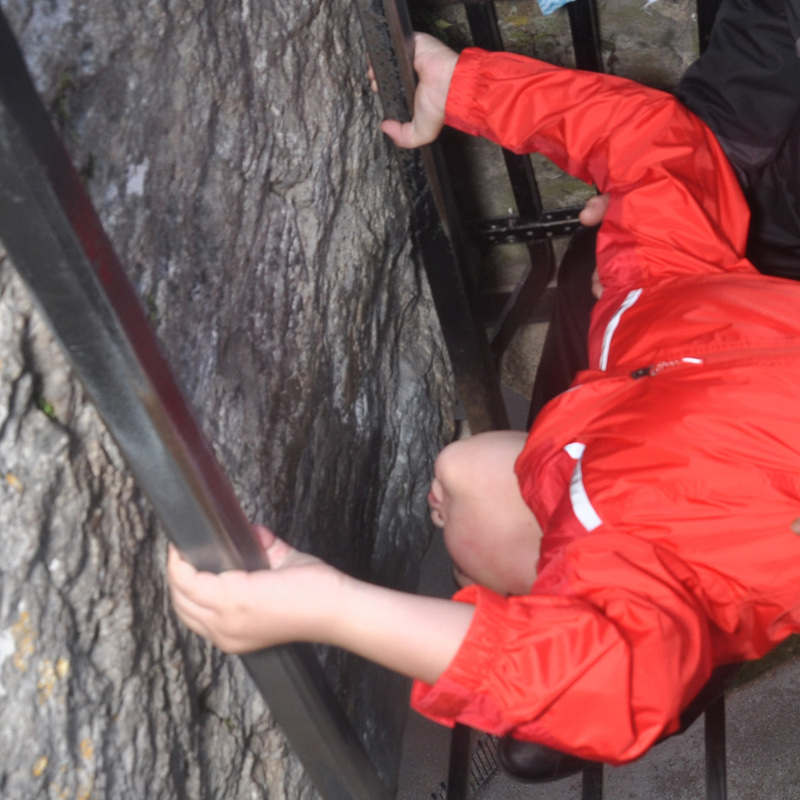 Kissing the Blarney Stone | Kid Reporters' Notebook | Scholastic Inc.
Seeking the gift of eloquence, Nolan kisses the Blarney Stone. Kissing the Blarney Stone is a tradition that dates back more than 200 years. The Blarney Stone is a block of Carboniferous limestone, also known as bluestone. During a recent visit to Ireland, I had the chance to see this famous stone. “More than 450,000 people come to Blarney Castle each year,” said Paul O’Sullivan, marketing manager of Blarney Castle & Gardens. “Many of our visitors travel up the 128 narrow, winding steps to the top, where the Blarney Stone is embedded below the battlements of the castle.” Battlements are cut-out spaces at the top of a wall. To kiss the Blarney Stone, one must lie down and lean back while holding onto iron rails. An assistant from Blarney Castle is there to support those kissing the stone. The drop below is 85 feet, but there are metal bars to keep tourists from falling. There is no clear, recorded history about the origins of the stone. But there are several myths and tall tales. The version endorsed by Blarney Castle holds that the stone was originally an altar stone brought over from the Holy Land (roughly the area of modern Israel and Palestine) during the Crusades. We’ll never know for certain how the legend of the Blarney Stone came to be. This adds to the mystery and sparks the curiosity of tourists from around the world. More than 1,000 people make the trek each day for breathtaking views and a chance for eloquence.